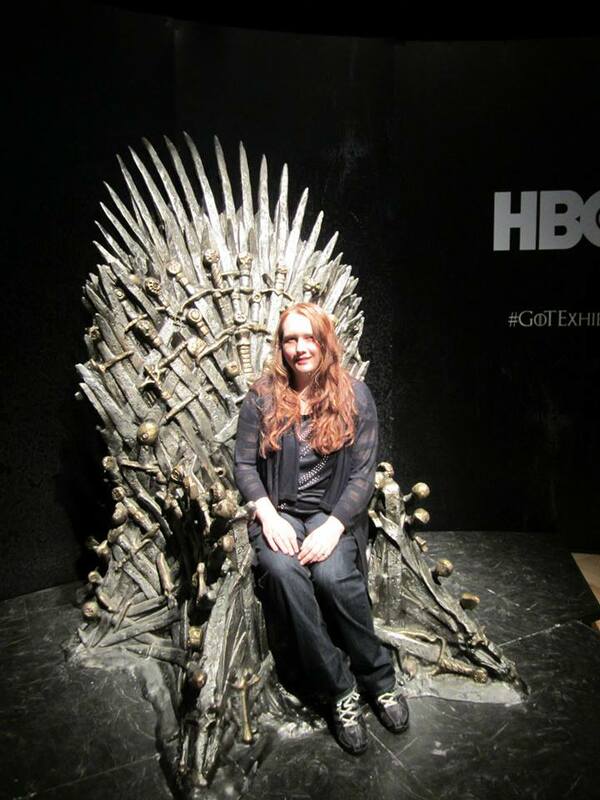 Last week I went to The Game of Thrones Exhibition in Belfast, Northern Ireland. We started the day early in Dublin, and arrived in Belfast around nine in the morning. The exhibition was held at the Belfast Waterfront and was within walking distance of the train station, so we headed directly there after our arrival. There were two ways to get into the exhibition. If you had tickets, then you also had an appointed time slot and all that was required was that you show up on time. The second was for those who did not have tickets, which included myself. 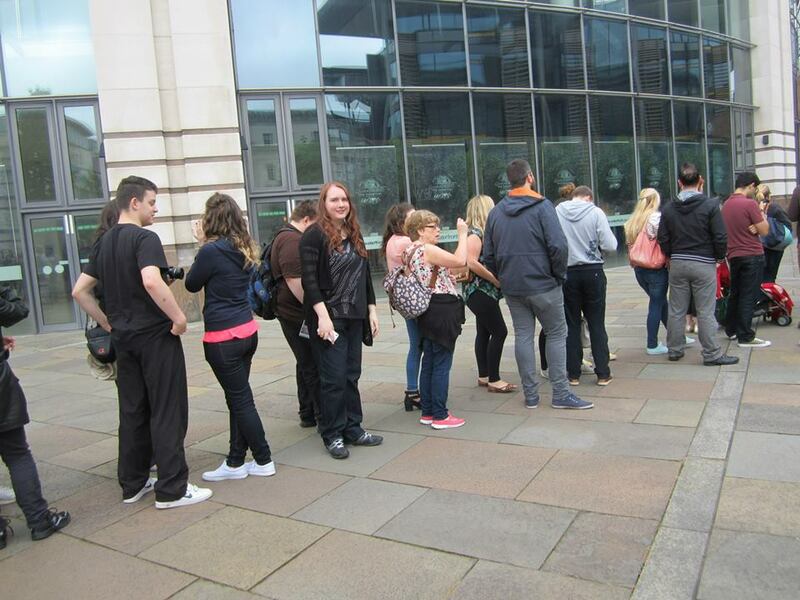 Tickets for the event were extremely popular and had actually sold out in a matter of hours after their release. So I joined a long line of others who were allowed inside as the building’s capacity allowed. It took about two hours from our arrival to get into the building, which overall was not bad. It was fairly organized and according to one of the people running the even, just about everyone who had come to see the exhibition was eventually allowed in. 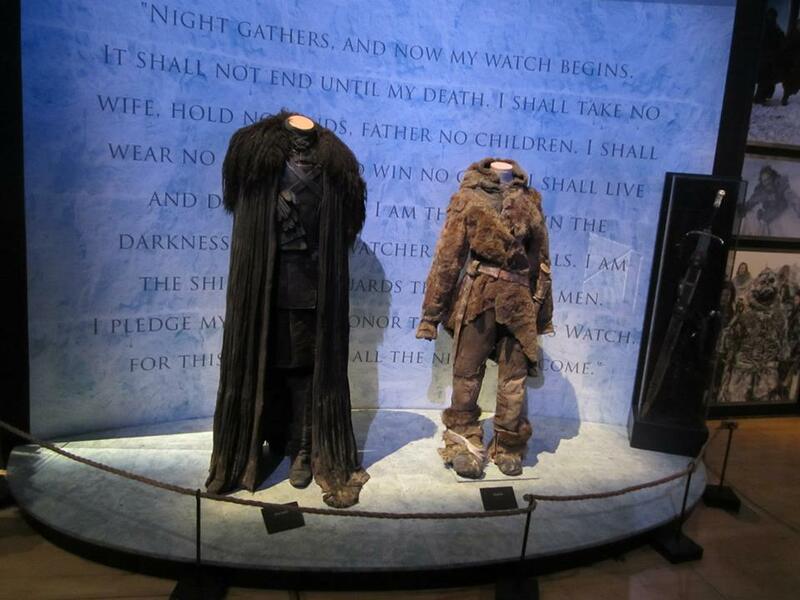 The exhibition featured, drawings, costumes and props from the Game of Thrones television show which were used on set. 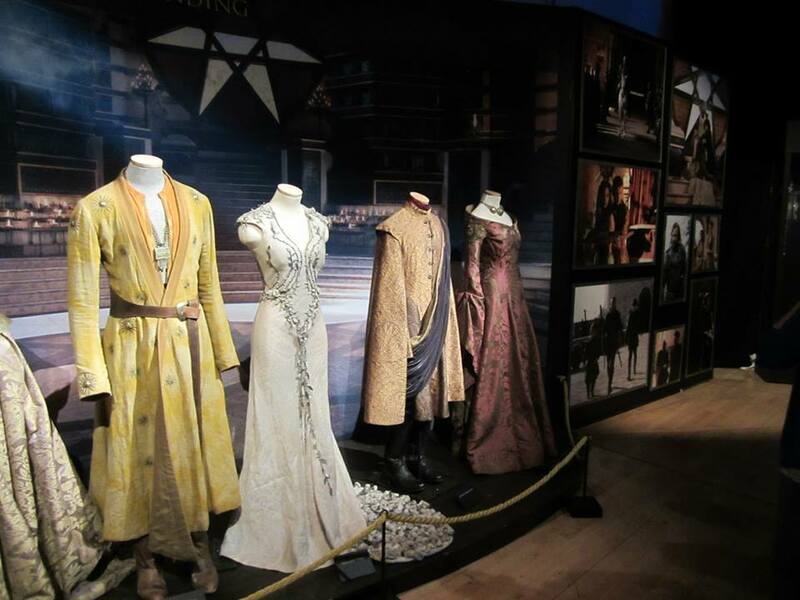 It included the gowns from Joffrey’s wedding. 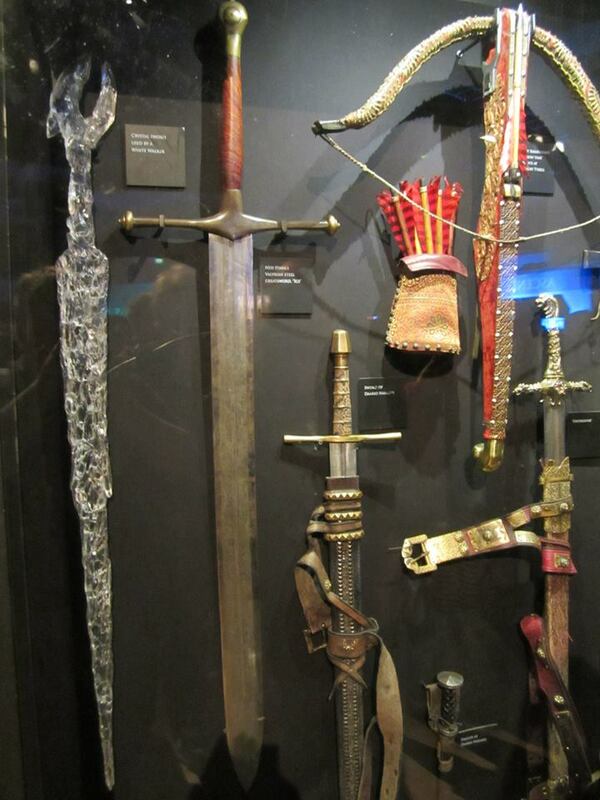 It also featured many of the weapons carried by various characters and other props such as jewelry, and goblets. Visitors could climb the wall through the use of virtual reality technology and, of course the highlight, they could get their pictures taken on The Iron Throne where they were allowed to rule all within their sight…for the five to ten seconds they were allowed to sit upon the Throne. It was a really cool experience. 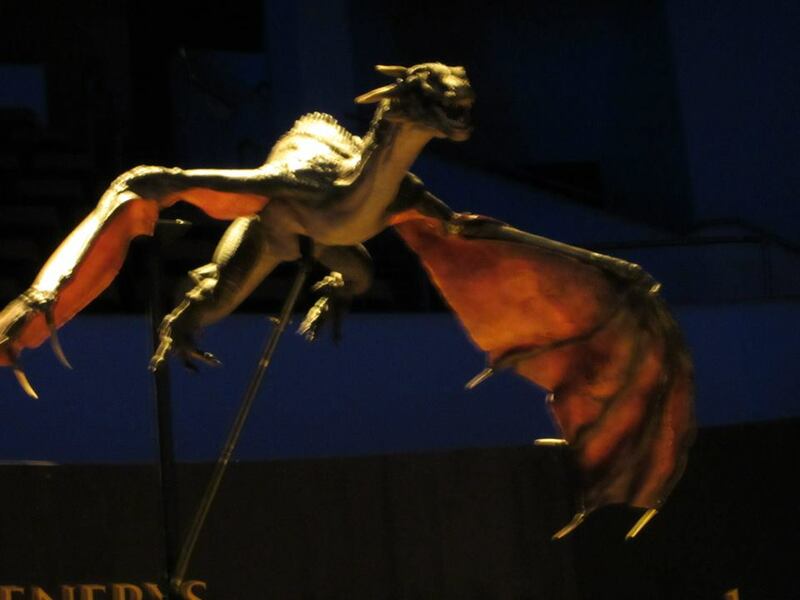 I am a fan of both the novels and the show, and to see the costumes up close and to see the amazing level of detail which went into the making of each and every piece really helped to bring the show to life. If you are a fan and fortunate enough to live in one of the cities where the exhibition will be coming, I would highly recommend visiting. I have been hard at work attempting to finish my next novel, which I am happy to report, just broke the 70,000 word mark. As I’ve had little time for other writings, I have decided to turn this blog over to my husband for the week. I hope you enjoy his perspective on the writing process. “How’s it going?” I ask, offering another beverage. “Great,” she replies “the words are just flying off the page.” I notice her rubbing her wrists. I shrug it off as nothing. “…And then the evil queen is vanquished.” She’s been talking for half an hour straight. There is an intensity in her eyes have not seen before. I dismiss it as excitement. “Whoa, what the hell?” she exclaims, in a tone usually reserved for train derailments, A Kardashian in the White House, or a Game of Thrones death. “Why did he do that?” she asks the non-existent fictional entity on her computer screen. I look on in bewilderment. I am awoken from a sound sleep with a rapid tapping on my shoulder. “Hey…Honey…HEY!!! I know where the next chapter goes.” she then returns to sleep as though nothing happens. I lay awake in confusion for the next few hours. The clicking has grown in intensity over the last few hours. The neighbors knock on the door to ask if we have a woodpecker. I point to the feverish typing and the top of the head peeking over a laptop screen. I accept their condolences. I back away slowly. What was I thinking? We ate yesterday. I decide to venture out for supplies. “We need paper and coke,” the voice calls from the glow of the laptop screen. I check my wallet. We can afford it. They say ramen tastes even better the second month in a row. The pile of revised scenes and abandoned characters finally gave way and toppled on top of me. After several hours I pull myself out. I bandage my wounds with the revision of chapter 5. The pounding on the other side of the bedroom door intensifies. “But I just need your to read one more scene…just one.” More pounding. I slide bits of chocolate under the door until the pounding ceases and there is the sound of shuffling back to the computer. Her eyes look up at me from the screen, the joy of life long faded. Her fingers curl with arthritic frailty. A rasp escapes her throat. “Caffeine….Chocolate…LIQUOR…” I give in and feed the writer all it needs to subsist now. All is quiet. The printer no longer screeches, it’s gears worn to the nub and the last drops of ink. The clacking has finally ceased. The glow of the laptop has dimmed. She wanders the the apartment, shying away from natural light. Confused, she shambles back to computer. No matter how much she crafts, no matter how many words she prints, her hunger cannot be sated. The writer will never stop now. Let this be a warning to any left out there. Protect your love ones. Know the symptoms and be on your guard.